Marilyn Monroe lives through her image… the iconic photographs, the stories around her enigmatic life and death, and of course, her films that released over half a century ago. 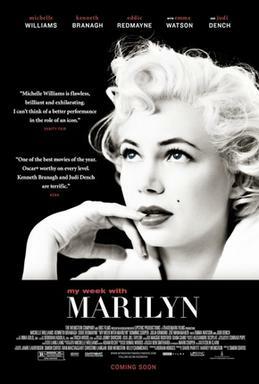 She is more of a cinematic icon than a person in the minds of the viewers today… However, Simon Curtis’ (director) film ‘My Week with Marilyn’ brings Marilyn the star, Marilyn the manipulator, Marilyn the victim and Marilyn the insecure girl back to life again. The real credit goes to the actress, who it seems was born to play this role – Michelle Williams. The film is based on British writer and documentary filmmaker, Colin Clark’s account of his time spent with Marilyn on and off the sets of another film, The Prince and the Showgirl (1957) for which she shot in London with actor/filmmaker, Laurence Olivier. Clark worked with Olivier as the third assistant director and forged an unlikely friendship with the world’s biggest star, albeit for a week. His two books, ‘The Prince, The Showgirl and Me’ and ‘My Week with Marilyn’ were adapted beautifully for screen by Adrian Hodges. In the new film, Laurence Olivier (played by Kenneth Branagh) admires Marilyn’s screen persona and tells his young colleague, Colin (Eddie Redmayne) that he finds himself dull when she’s on-screen with him. That statement holds true of Michelle Williams’ performance in My Week with Marilyn. When she is on screen, you see nobody else and she lives Marilyn Monroe; she flirts, she winks, she laughs and says wicked things… she also appears nervous, vulnerable and someone you’d like to help, despite knowing that she can’t be helped. That’s the situation, Colin finds himself in as he thinks he can protect Marilyn, but from whom, herself? The film also stars Judi Dench as Sybil Thorndike; Julia Ormond as Vivien Leigh; Emma Watson as Lucy, a wardrobe assistant; Zoë Wanamaker as Paula Strasberg, Marilyn’s acting coach; Dominic Cooper as Milton Greene, her business partner, amongst others. A stellar cast like this and you only remember Michelle after the film ends! Of course, the role she plays ensured she gets the most attention, but it was a big responsibility and the final outcome rested on her performance. Williams has given some fine performances earlier also that earned her Oscar nominations (Supporting Actress for Brokeback Mountain and Leading Actress for Blue Valentine); but this time she shone like never before earning her third Academy Award nomination (Best Actress). Do watch My Week with Marilyn for her. 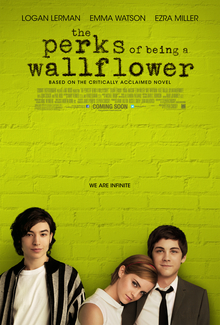 It is a fine film with an interesting story, good cinematography, art direction, great supporting cast, etc, etc. But at the end it is Michelle as Marilyn who is the soul of the film.